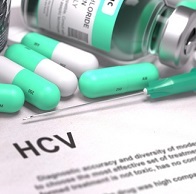 Although direct acting antivirals (DAAs) have revolutionized the treatment of hepatitis C virus (HCV), a small fraction of patients still experience treatment failure. In an editorial in a special issue of the journal Viruses, Che Colpitts, PhD, and Thomas Baumert, MD, of the Institute of Research of Viral Maladies in Strasbourg, France, describe why the research included is important to the future of treating HCV. “In the USA, chronic hepatitis C infection, the most common cause of liver-related death and liver transplantation, recently surpassed human immunodeficiency virus (HIV) infection as a cause of mortality,” say the authors in the introduction. Patients who do not reach sustained virological response (SVR) are more likely to have a resistant variant. The class of DAA, the genotype of HCV, and the patient group are all factors in the mechanisms of resistance. The authors point out that, “given that the outcome of DAA-based therapies may be affected by the selection of resistant variants, virological tools to monitor drug resistance both in the drug development stage as well as in the clinic are of critical importance.” There are some diagnostic tools which monitor HCV-resistance, and resistance does not necessarily mean treatment cannot be successful. Although DAAs have resulted in remarkable cure-rates, the authors say, “the pursuit of complementary antiviral strategies is still warranted for patient groups who do not respond to therapy, due to DAA resistance or other factors.” Patients with decompensated cirrhosis have a higher likelihood than some other patient groups of resistance, and those who have experienced infection following a liver transplant may experience viral resistance and treatment failure. Research is being conducted on the use of “host-targeting agents (HTAs) that target cellular factors involved in the HCV life cycle as a potential option to prevent and treat viral resistance, particularly in the context of liver transplantation,” report the authors. HTAs may complement the mechanisms of DAAs and appear to have a higher barrier to resistance. A final study mentioned in the editorial is one that the authors say describes “in vivo HCV infection models that will be critical for the assessment of HCV therapy response and the emergence of resistant variants.” Such animal studies have been critical in “identifying HCV antivirals and drug resistance mechanisms,” say the authors. They conclude with the hope that global HCV eradication is closer to becoming a reality. Are Pan-Genotypics a Panacea for HCV? How Did Kids in Pringeton Get HCV?